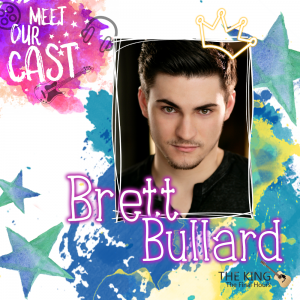 As a boy in Memphis, Brett Bullard grew up dreaming of being the King. In October, he will turn that dream into a reality as he takes on the lead role for the highly anticipated Off Broadway play - The King, The Final Hours. The jukebox musical is the first ever Off Broadway or Broadway production to explore the final hours of the King's life. What went through his mind as he realized his life was coming to an end? Brett will play both the young singer who was discovered by the Colonel and will also play the King during his later years and in his final hours on earth. In The King, The Final Hours, our Tennessee boy will be going back to his roots to play one of 20th-century Tennessee’s most prolific personalities. Watch Brett this coming fall as he takes on the role of the titular King of The King, The Final Hours.